As the appointed creative agency for a number of the South West’s educational institutions, including Kingston Maurward College, Dorset Studio School and Independent Preparatory School, Buckholme Towers, CuCo know that for Admissions Marketing Managers, finding strategies to grow your enrolment figures is at the top of your to-do list. Our agency have created all manners of marketing materials communicated through various online and offline channels designed to attract prospective parents and students to our client’s institutions, convert them into visitors, and in turn, applicants. Admissions Marketing Managers must ensure they are using the most effective channels for advertising their establishment and consider the most effective ways of getting the message out. Having the tools and resources to create a concise plan with measurable results is what every school admission office needs to reach their goals. Of course positioning your school with the perfect brand identity to reflect your school’s philosophy is the foundation of a successful marketing platform. But where do you go from here? Your school’s website is undoubtedly one of the most important factors for making a good first impression as it’s often the first contact that people have with your school, especially when they are actively looking! Your school website is the flagship for your overall brand image and a strong site can lead to increased admissions. Enquiries aside for a moment – it’s also important for delivering a strong user experience for its regular users, including students and parents. 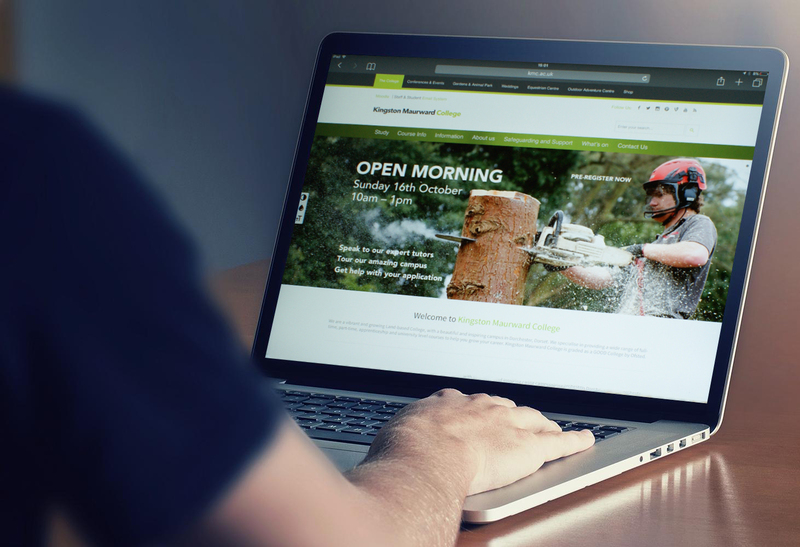 CuCo have designed and developed a WordPress website for Dorchester land-based college, Kingston Maurward. Their original website was outdated, inflexible and impracticable for everyday content management. CuCo improved the UX of the site by allowing visitors to find what they were looking for more quickly and ensuring each message was as strong as possible! Whilst your website is a really useful tool when marketing your school, the power of the prospectus shouldn’t be understated. Your prospectus gives potential applicants an instant impression of your school. On open days, a prospectus can offer a great window into life at your school, and something for prospective students to take away. 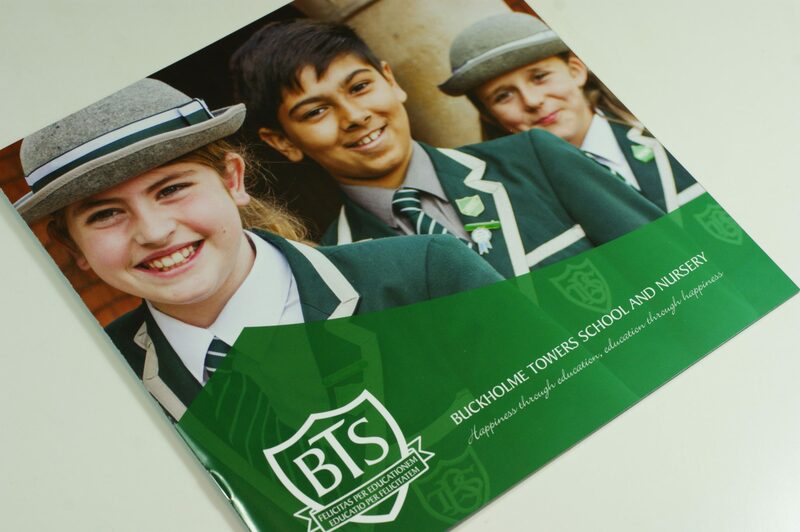 In 2015, CuCo were approached by Poole-based Independent Preparatory School, Buckholme Towers, to develop a new look and feel to their prospectus. Not only did CuCo develop the creative look for the prospectus, but we were also entrusted to deliver copy that would tell the story of this exceptional school, and were on hand to offer guidance on print finishes. Our creative team knew that it was important to reflect the school’s balance between the traditional and the progressive, and kept this at the forefront of our minds when designing the creative. The prospectus was printed with a spot UV varnish on the imagery throughout to really highlight them and to create a contrast between the text and visual areas. Finishes such as these that can make a huge difference to the impression that your prospectus gives to potential applicants, and Buckholme Towers received incredibly positive feedback from parents, both old and new! All Admissions Marketing Managers should take full advantage of the opportunities that lie in social media. Social media is an effective tool for reaching prospective students and parents, and there are many different channels you can incorporate into your marketing strategy to generate conversation and create an engaging experience. You can use social media to give perspective students an idea of what day-to-day life is like at your school, for example, by generating YouTube ‘reality’ videos and establishing ‘ask a student’ links on the school’s website will allow interested students the opportunity to get a real feel for the school and FAQ answered. When CuCo developed Kingston Maurward’s website, we included an RSS social feed which allows for a real-time showcase of all the exciting activities taking place across the whole, breathtaking estate. This feature allows the college to demonstrate what they have to offer in an authentic and tangible way, which is an extremely effective technique for engaging with prospective students and parents. Are you looking for a creative agency to develop a marketing strategy to grow enrolment for your school? Well, look no further, here at CuCo we have a proven track record. Give us a call today on 01202 911959 or drop us a line at hello@cucocreative.co.uk.